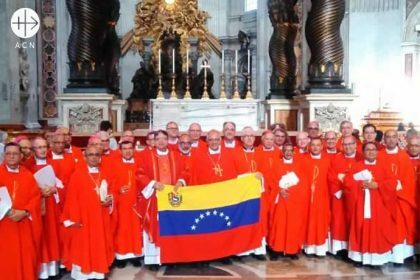 The Venezuelan bishops during ad limina visit to Rome: Group photo of the bishops with the venezulean flag at St. Peters Basilica in Rome. A poster explaining why the opposition protest. 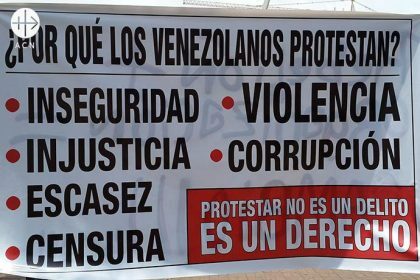 “Why do the Venezuelans protest? Insecurity, injustice, shortages, censorship, violence, corruption. Protesting is not a crime. Is a right”.